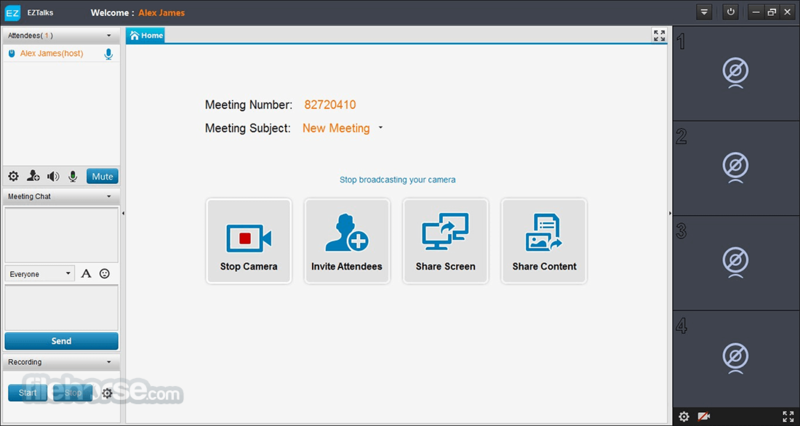 Create various video conferences, meetings or webinars! ezTalks delivers easy, professional and feature-rich online conferencing services to make business video collaboration easier than ever. 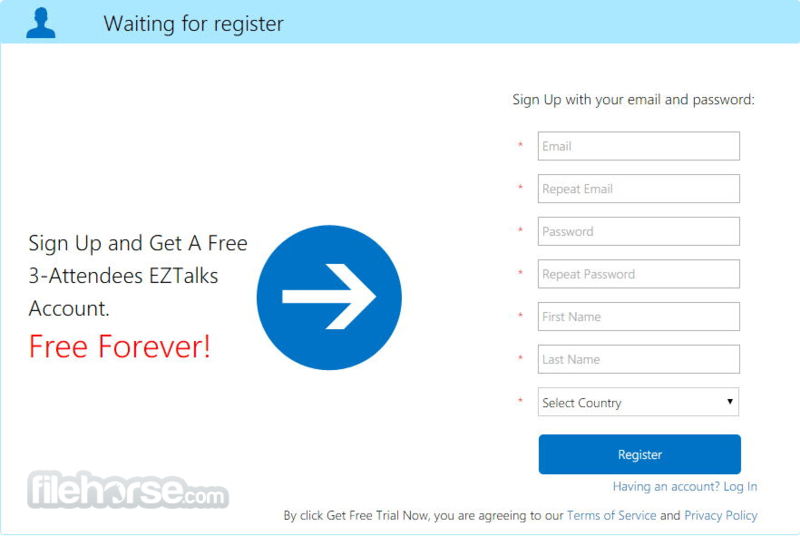 ezTalks is the world's leading online video conferencing software that enables you to connect with people online anywhere and anytime. Integrated with HD video conferencing, audio conferencing, screen sharing, content sharing, remote control and more, ezTalks can be applied to enterprise, government, education, training, healthcare, law, finance, military, community and other various industries for online meeting/teaching/training/webinar. 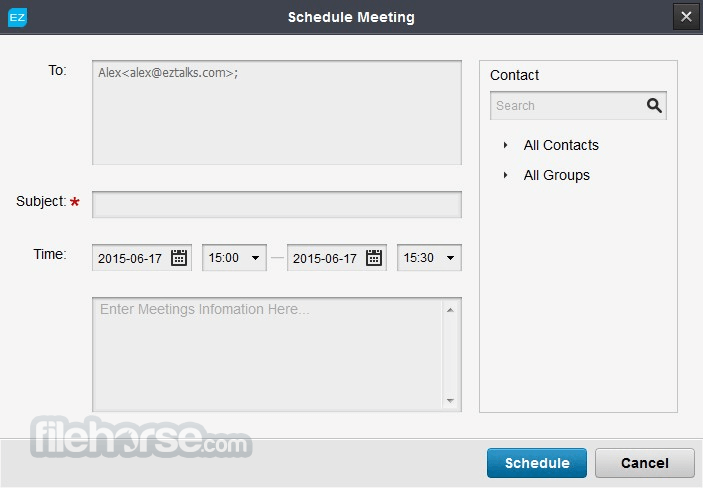 Main Features of ezTalks Video Conferencing Software for Windows PC: Invite Anyone to Meetings Send out Email invitations to friends, colleagues, customers, students or anyone else you want in the meeting. HD Video with Clear VoIP Audio 16 HD video conference streams and incredible HD VoIP voice provide you with supreme conferencing experience. All-inclusive Assistive Tools ANY content sharing from desktop/application/specific area on your PC together with remote control, whiteboard, private and public chat improve work efficiency. Record Meetings for Further Use Record meetings either by video and audio or audio only for future playback or those who couldn't attend. 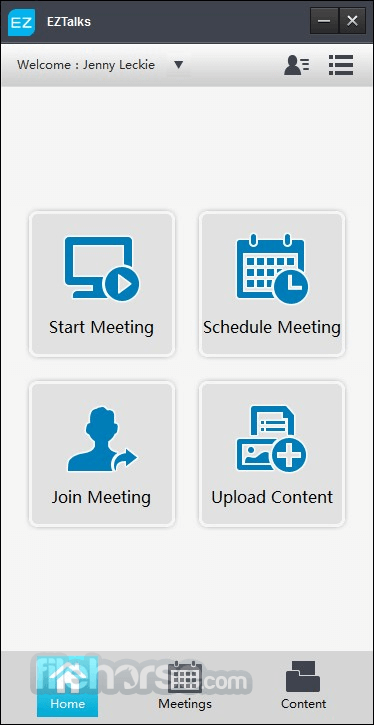 Note: In demo version, up to 100 participants per meeting (Pro allows up to 500).